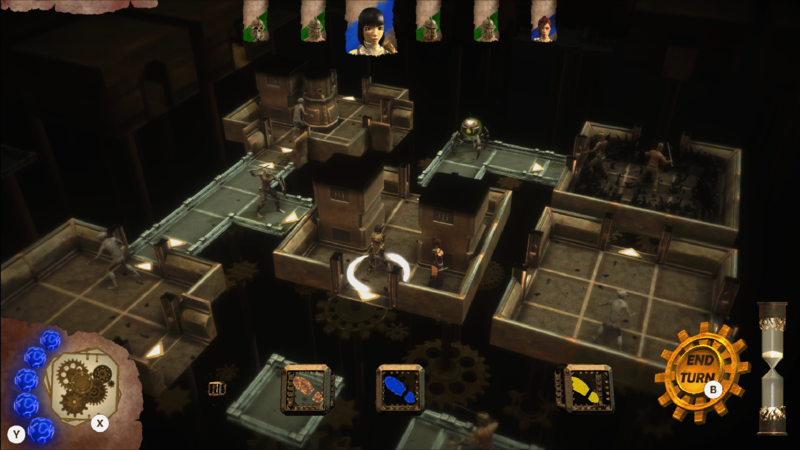 Dev Diary, 28 August 2015: Happy Day! Nope. Despite being very close, we haven’t released The Living Dungeon yet, and I’m not celebrating our complete neglect of the blog while we get the game finalized either. That was just us being rubbish at blogging. As all but the most dullard-tastic of you may have guessed due to the huge picture of a cake, it’s a birthday celebration. Yay birthdays! Last week was Chantelle’s birthday, and also my birthday, and more relevant to this blog, RadiationBurn’s Birthday. Yep. 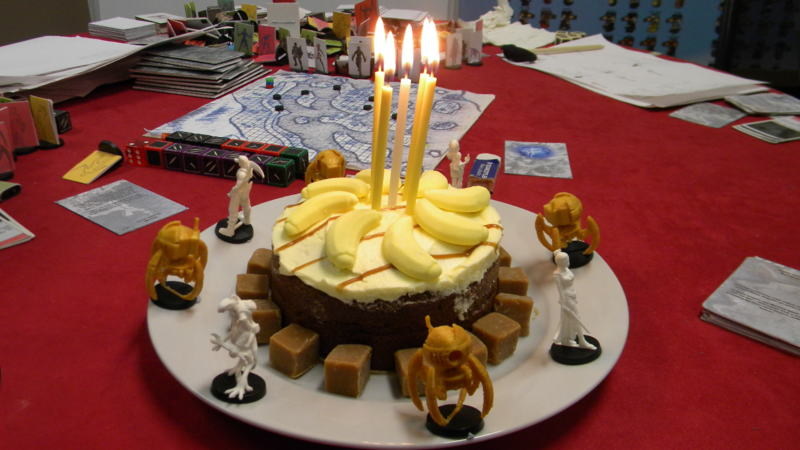 RadiationBurn Ltd was officially 5 years old on Sunday. For some people that might not seem like a big deal, but for me it is, and every birthday this company manages to get to will probably still be a big deal for me. As a tiny ickle game developer every achievement in longevity is worth celebrating, because each year at this point I know full well that this birthday might be the company’s last. OK. That is not a helpful analogy, and now you feel bad for an imaginary kitten. Listen to it squeak and then fall over. So cute yet so tragic. Yup. I’m just going to roll with it anyway. For the record. 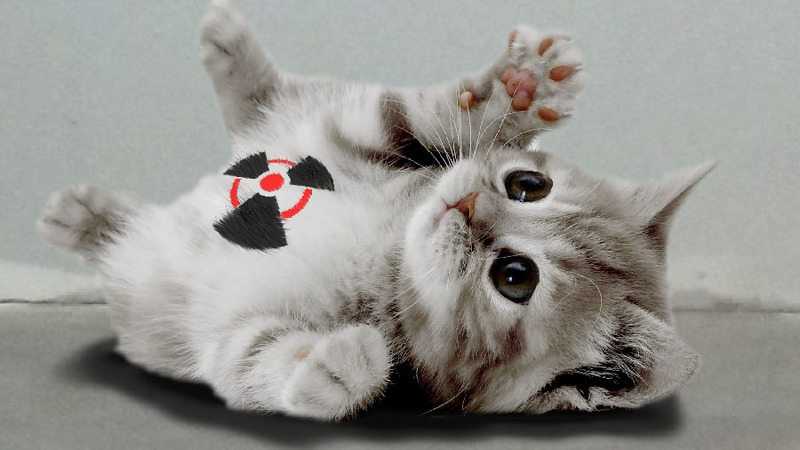 That imaginary kitten did not get cancer from imaginary radiation exposure. It’s just coincidence and the world is cruel. Deal with it. So just like Gammafluff the dying kitten, indie game developers are generally likely to die horribly. You can keep pumping in resources to prolong that pitifully sad existence, and there is a small chance that cutting out one of the various tumours will grant a significant reprieve from death, but there is still a greater chance that sooner or later you’re going to have to take little fuzzy face out into the back alley, and use a hammer to put it out of its misery. CRUNCH! Meoooww, CRUNCH! CRACK! SMACK! CRUNCH!… CRUNCH! Thankfully, RadiationBurn isn’t at that stage yet. In fact things are going pretty well apart from the huge amount of hate mail we’re about to get for brutally bludgeoning a sick kitten to death. In hindsight I really should have started with the head instead of working my way up from the tail. At this point I should apologize to Fee for all that, because she is a cat lover and at this very moment (when I wrote this, not actually now. Who knows what she’s up to now? Eating dinner? Plotting revenge? Setting her face on fire? Could be anything) is busy helping us by showing off the game at Insomnia. I hope she’s having a great time and wanted to say thanks again to Fee for her super appreciated support. Further to that, at the end of September we are headed off to EGX in Brum. We’ll call it that until Chantelle works out how to actually say Birmingham. She’s very clever but hasn’t learned how to speak yet sadly, and is currently ill and may not appreciate me mocking her speech considering I can barely write. We’re looking forward to EGX of course. 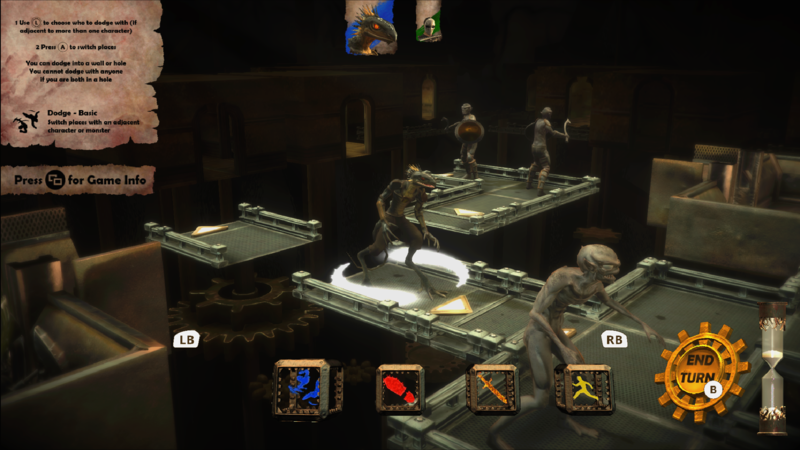 Last EGX was when we discovered that plenty of people actually really liked our game. It was a validation of sorts. What we are hoping for this year is for people to be able to go and buy it. That way, little Gammafluff gets to limp on for another year. Yes. I am sinking that low and holding an imaginary kitten hostage to blackmail you out of your shekels, and no it isn’t dead yet, just crippled. I just used the hammer to beat some of the tumours out. I didn’t even give the imaginary crippled kitten any of our very real cake! I’m a monster! In other news. Now that Ben’s done filtering the filter filters, here are a couple of pictures of how the game looks in its final days before release. Now that we are back to somewhere in the vicinity of relevance, I’ll remind you of your geekbound duty to follow us on twitter, facebook, and instagram. Talk soon. I promise not to further abuse little Gammafluff.